The main feature is Tokyo Chorus (1931), one of Japanese master Yasujirō Ozu’s silent features. Talking pictures came late to Japan, where silent film production continued far into the 1930s. Tokyo Chorus was produced by the Shochiku Company, which was founded as far back as 1895 and still continues today. It was directed by one of Japan’s most famous film-makers, Yasujirō Ozu and stars Tokihiko Okada and Emiko Yagumo. The story, about a man who faces financial problems after losing his job when defending a colleague, was based on various elements in the Shoshimin-gai (`Middle Class Avenue’) novels by Kitamura Komatsu. 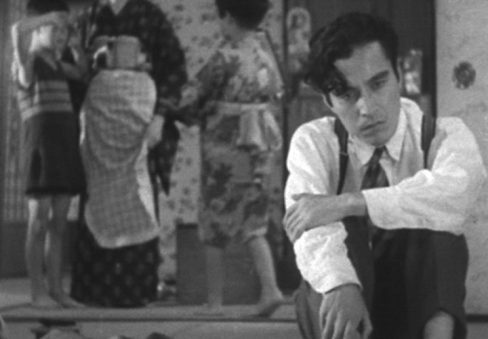 Tokyo Chorus has sometimes been compared to King Vidor’s 1928 masterpiece The Crowd.